Celebrate Lunar New Year with this lovely Mandarin-themed trap skin for your Infinite Labyrinth! When a mouse approaches, the Mandarin Citrus Labyrinth peels itself open and quickly sprays out citrusy sweet acid bath! The Mandarin Citrus Labyrinth Trap Skin can be used on the Infinite Labyrinth Trap. The trap's stats (power, power bonus, attraction bonus, etc.) are not changed. The Mandarin Citrus Labyrinth Trap Skin may be made available during the annual Lunar New Year event and can be traded on the Marketplace or through Give To Friends. 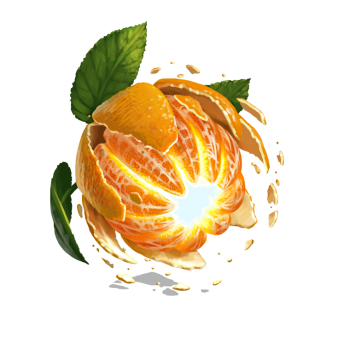 6 February 2018: The Mandarin Citrus Labyrinth Trap Skin was released as part of the Lunar New Year 2018. This page was last edited on 7 February 2018, at 16:34.